The image was lifted from a 1988 photo-ID. The title is derived from the number of self-portrait images used to make the image of me, plus 1 for the complete image itself. Since the image lives in a space 40 cells high by 40 cells wide, it’s 40 x 40 = 1600 cells in the image. Each of the 1600 cells is a tiny self-portrait (the same image, but smaller). But, since there are four colors, I actually printed each cell four times — once with blue, once with red, once with yellow, and finally with black,. So, 4 x 1,600 = 6,400 plus the self portrait image your eye integrates makes 6,401. 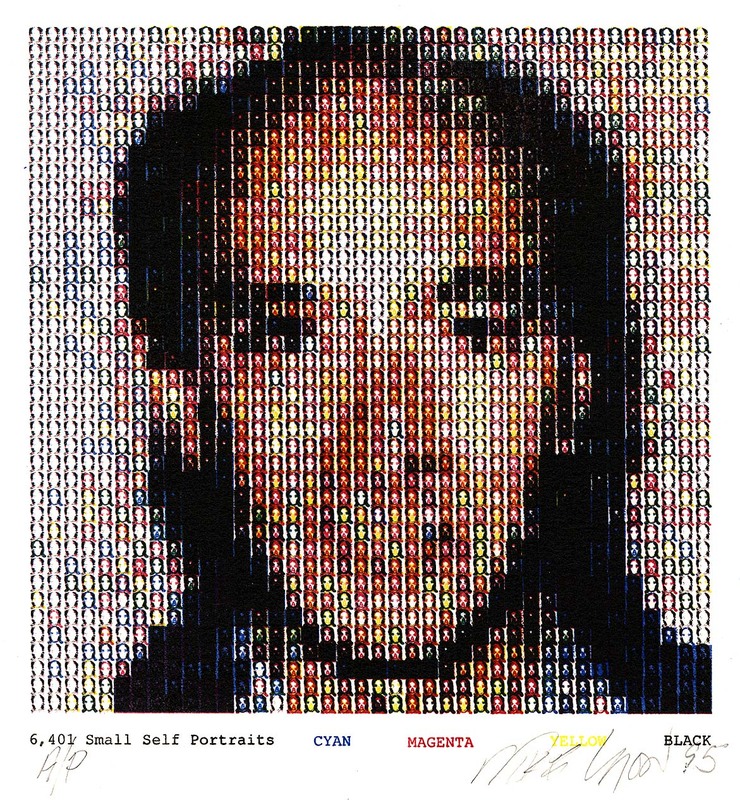 "6,401 Self Portraits", 1995, four color Lithograph on BFK Rives paper, about 7" square. 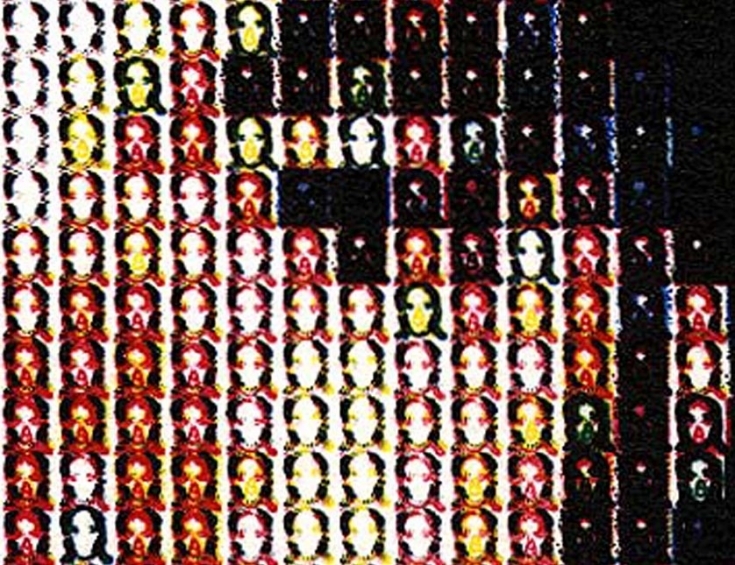 Detail, about 2 inches wide from "6,401 Self Portraits"
This is another “tiled” image. I made five little rectangular black and white self portrain images, each one designed to cover the rectangle with more ink than the previous, in 25% increments. Then I wrote some computer programs to make the job of analysis easier. For each of the 1600 cells in the image, for each of the four colors, I calculated the ink coverage and applied the appropriate one of the five little self-portraits. Then I laser printed the yellow, blue, magenta and black images on paper, transferred the toner to litho plates, processed the plates, and printed each color one on after the other.